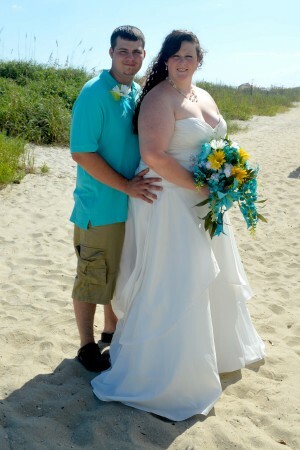 Brittany Danelle Burke of McGrady, NC and Adam Jerome Wagoner of North Wilkesboro, NC were united in marriage on September 19, 2015, on the beach at 12th avenue south, Myrtle Beach, South Carolina. Rev. M. F. Anderson officiated. The bride is the daughter of Grant and Sandie Burke. The groom is the son of Christy & Michael Lyons and Lewis & Diane Peterson. After a reception at Damon’s and a honeymoon in Myrtle Beach, SC, the couple will reside in Miller’s Creek, NC.